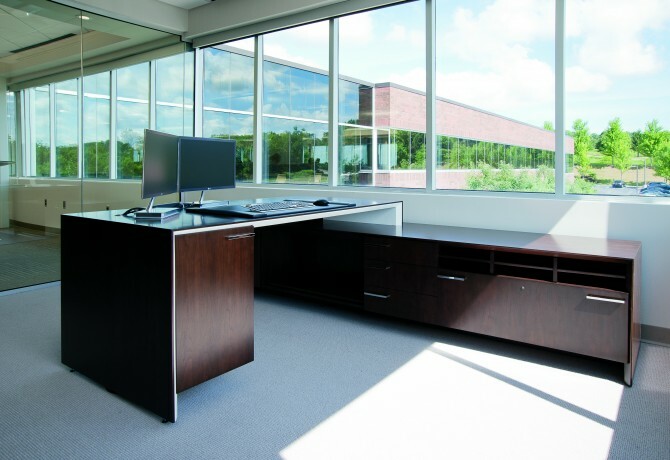 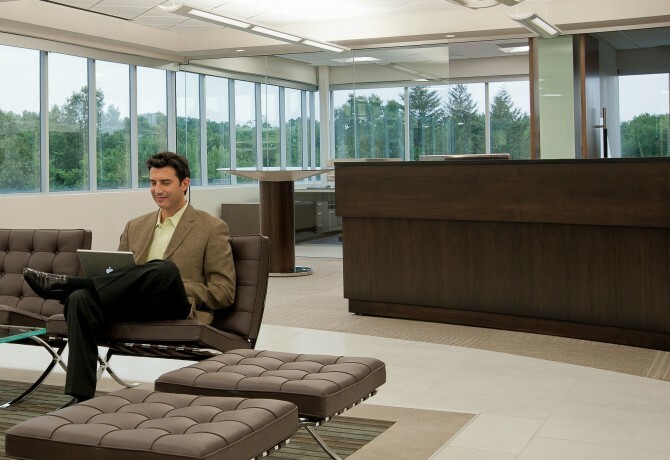 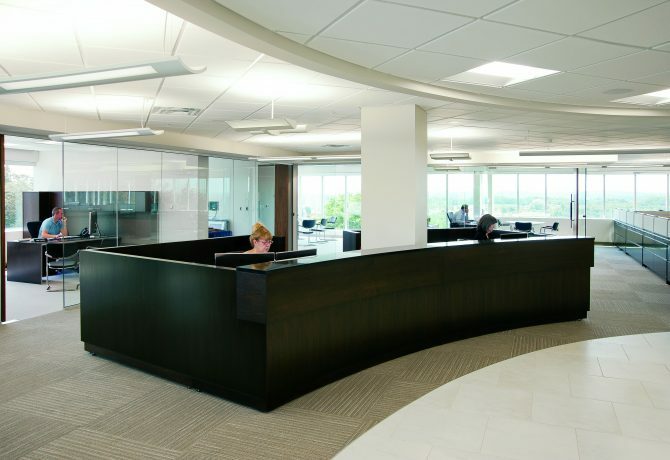 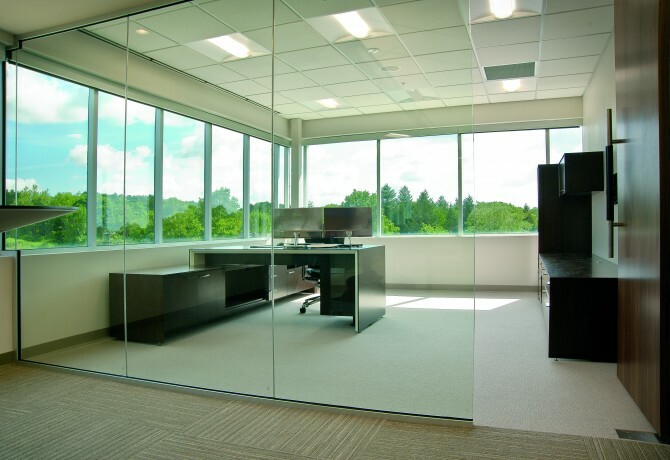 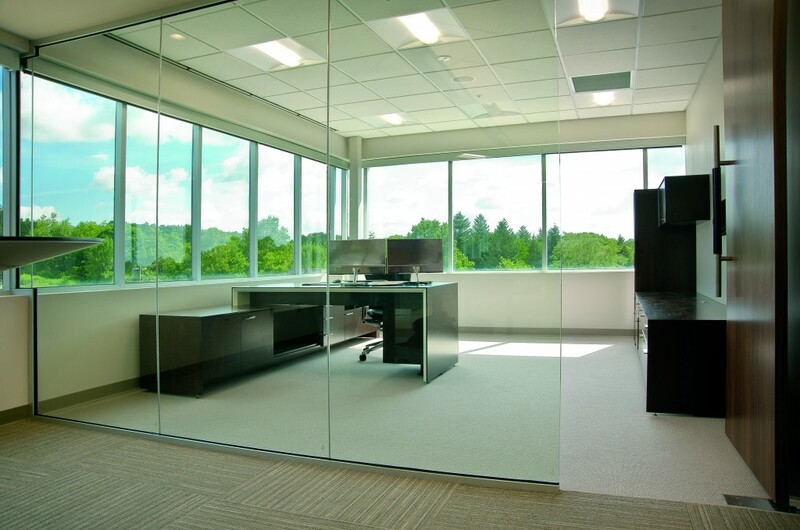 Perched high on a hilltop with spectacular panoramic views of the surrounding trees and countryside the offices for First American Equipment Leasing exude a light and airy environment. 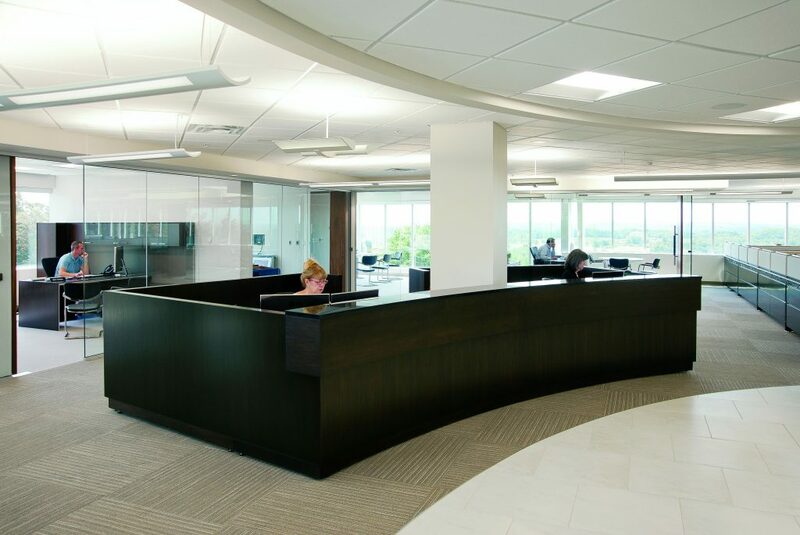 The refined elegance of CCN’s AERO platform proved an ideal complement to this stunning environment. 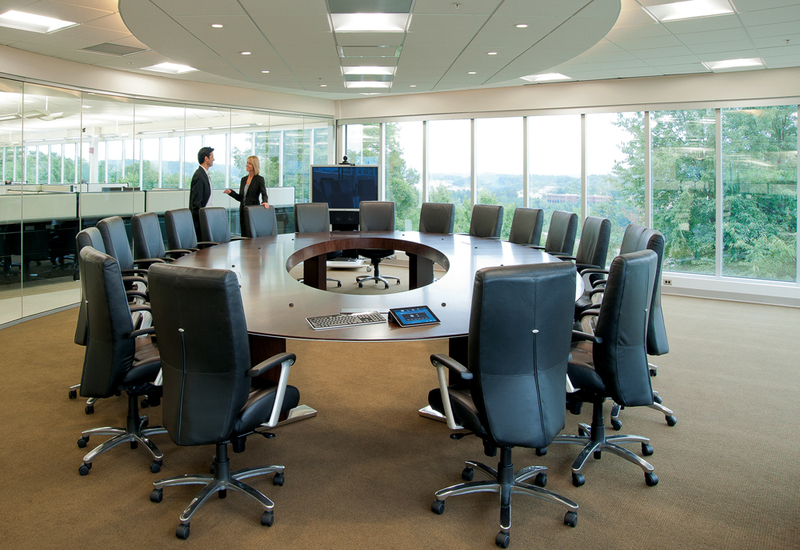 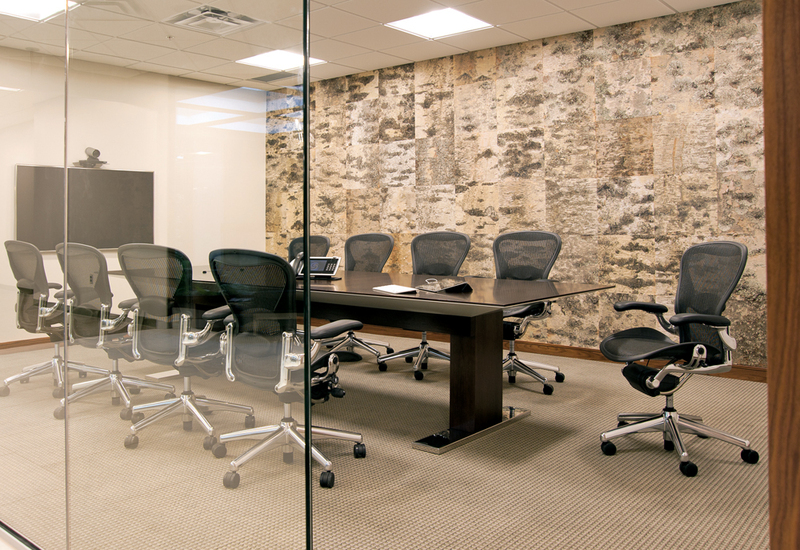 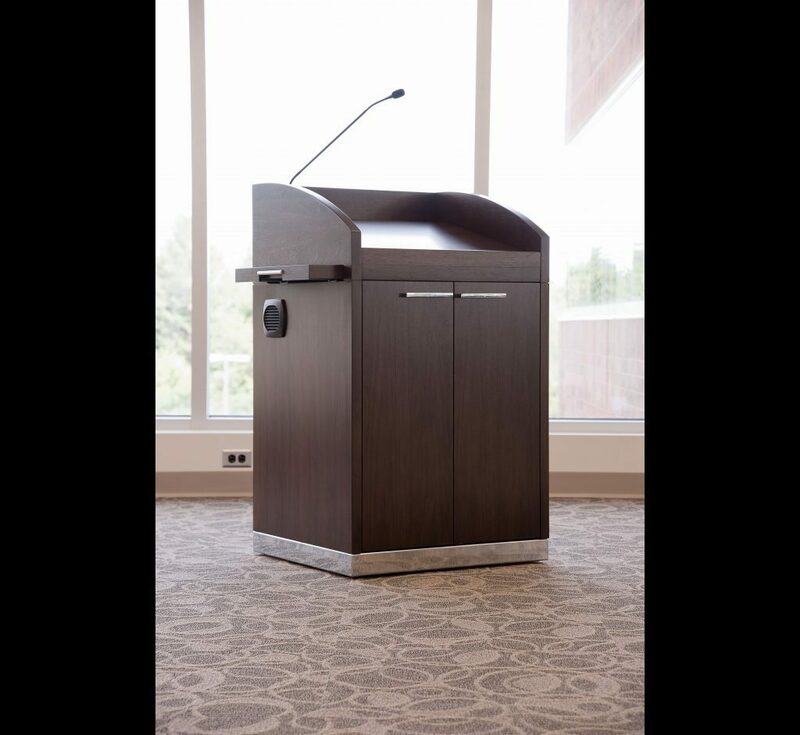 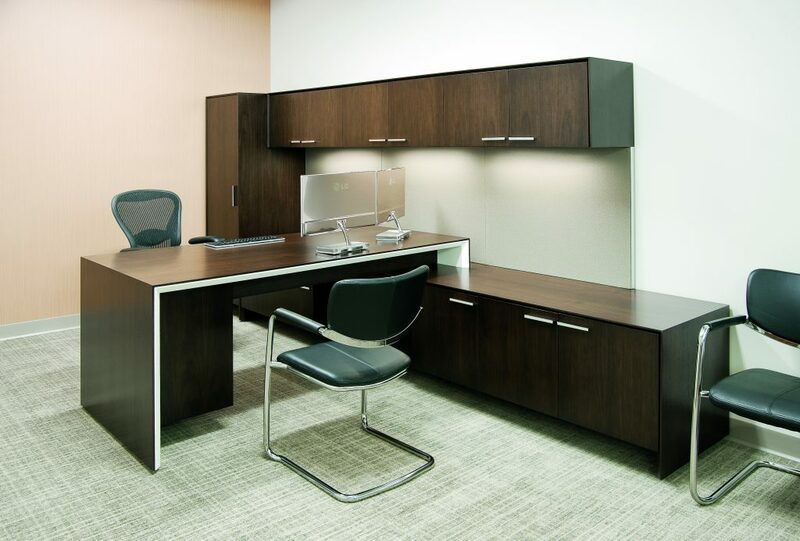 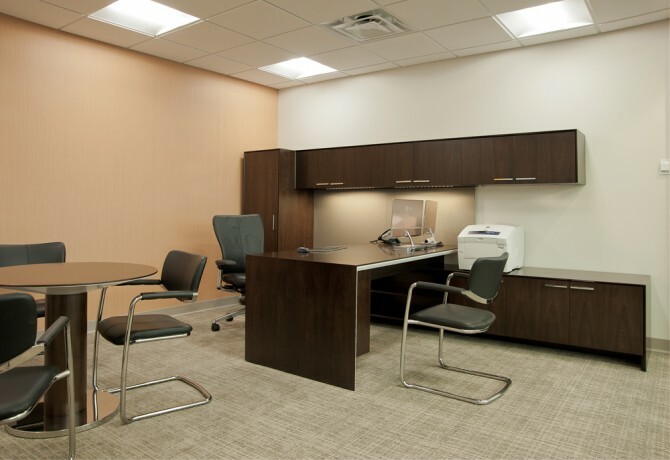 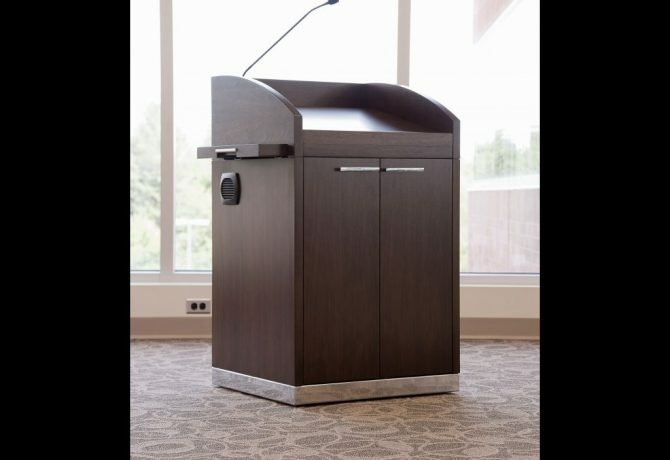 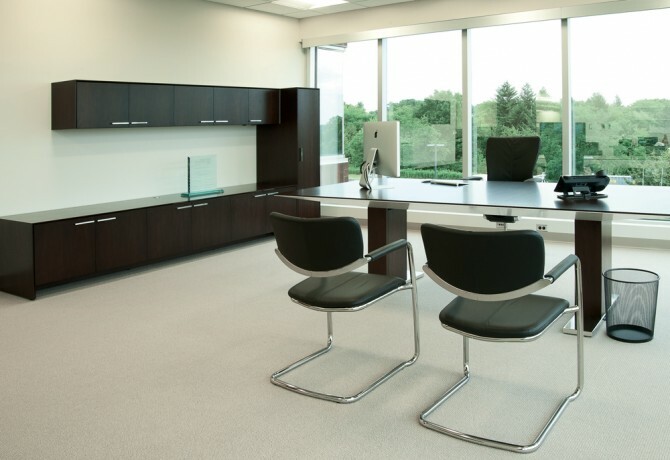 CCN provided case goods and round work tables for private offices, plus conference tables and media centers. 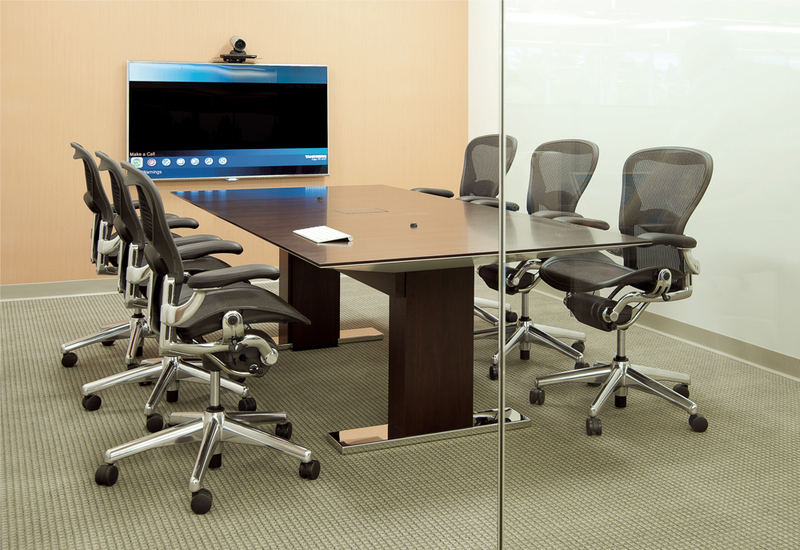 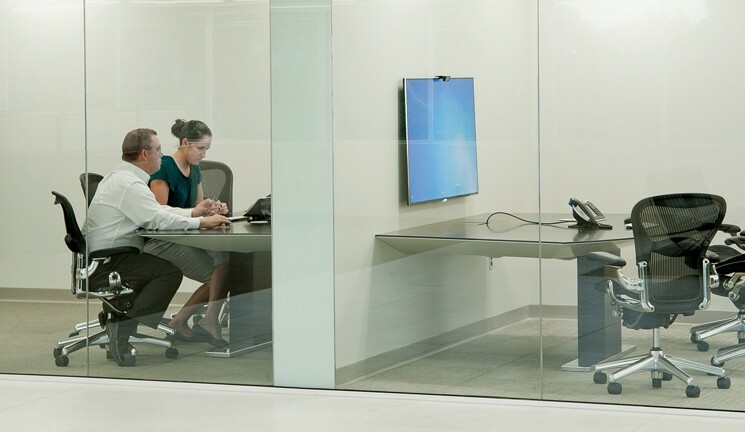 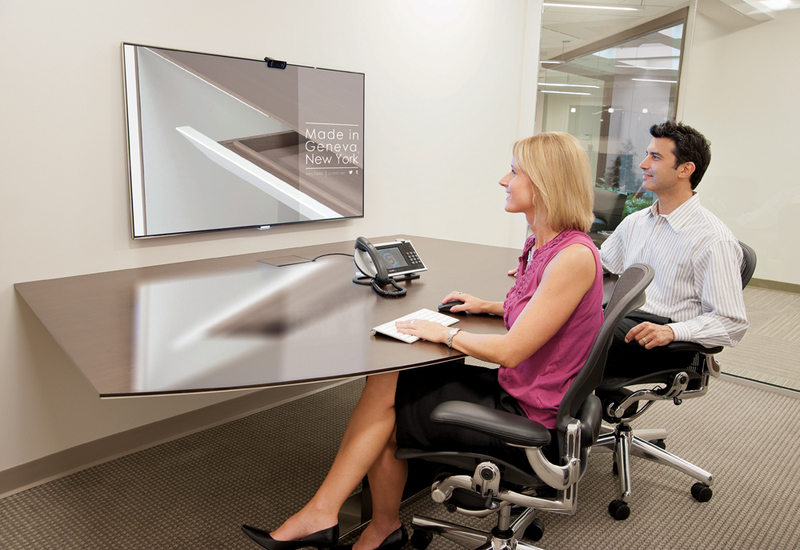 Custom fan-shaped tables cantilever from walls in intimate teleconferencing rooms used for training and web meetings. 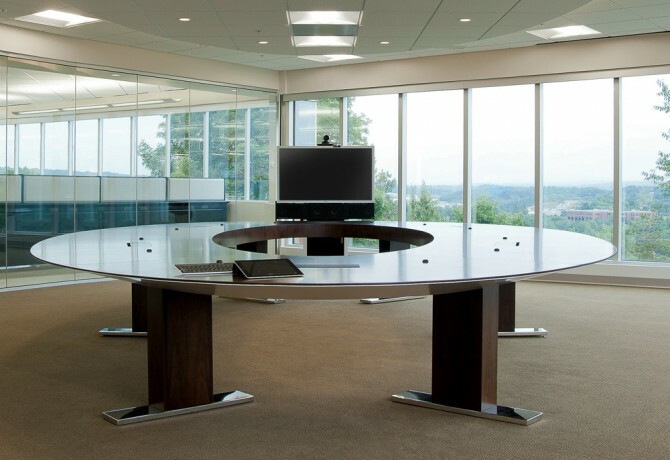 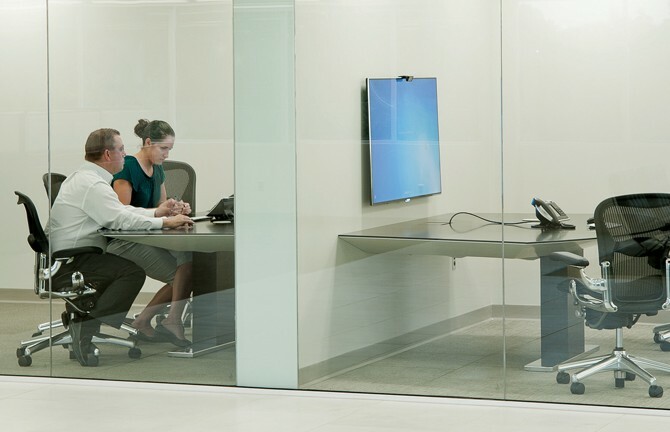 An eighteen seat ellipsoidal conference table seemingly hovers in a glass walled space and a tandem administrative workstation is curved to coincide with the architecture.